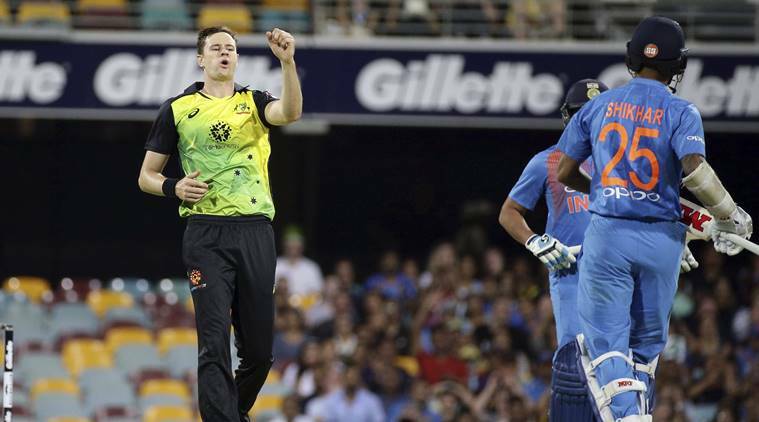 India suffered a dismal start to their tour after losing the first T20 International by four runs at the Gabba on Wednesday. With Virat Kohli back to lead India, the men in blue won the toss and opted to bowl first against Australia in the first T20I. However, sloppy fielding allowed Australia to score 158 after rain shortened the contest to 17 overs a side. Chasing a revised target of 174 runs in 17 overs, India fell short by just 4 runs. Opener Shikhar Dhawan smashed a sublime 76 off 42 balls but it wasn’t enough on the day as Australia are now 1-0 up in the series.